Why Is My 4 Month Old Baby Crying? 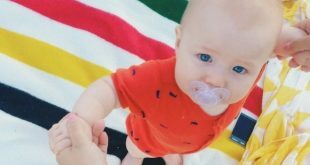 Home > Baby Helpline > Crying Baby Questions > Why Is My 4 Month Old Baby Crying? My 4 month old son is screaming at the top of his lungs and I don’t know why! I have tried everything: walking around, singing, playing, change his diaper, feed him. He has a stuffy nose but I cleaned it out pretty good with saline and a nose aspirator. He is still screaming. Help!!! What do I do? Babies that cry whatever we do can be very stressful. And often, it is not so easy to know why they are so sad. But since your baby is 4 months old, you do know each other pretty well now; does he appear to be in pain? A stuffy nose could indicate a sore throat or ear pain. Does he have a fever? If he does, or if you somehow can check his throat and it is red, you could take him to a doctor. If you’re not too worried about his health, you can try taking him out either for a stroller walk or a car ride to help him fall asleep. 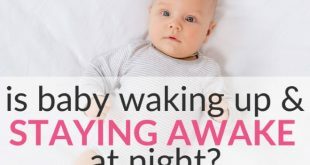 Sometimes babies that have a cold sleep so bad, that they simply become over tired and need help to rest. If his nose becomes stuffy while asleep, try tilting his bed slightly to raise the part where he rests his head. Of course having a cold is only one possible reason for crying. When a 4 months old baby suddenly starts crying non stop, we can at least exclude infant colic, which always appears a lot earlier. At around 4 months, many parents start introducing some kind of solid foods. It may be cereal of some kind of puree. For many babies, especially those who are breastfed, this can be very hard for their little tummies to cope with. They become gassy, constipated and in pain. Another reason for constant crying at around the age 4 months can actually be separation anxiety. While most 4 month old babies have not yet realised that they are separate from mom and dad, some have. And that is scary! Since babies have no understanding of time, a mom who is gone (to the next room) is gone completely. And it will take several months before the baby has grown to understand that you are still there although out of site. In this case, just get yourself a baby carrier or sling and bring your baby along everywhere. Trying to teach the baby to self-soothe and spend time alone is only counter-productive during this period. Finally, at this age, the way the baby is crying may actually provide clues to what is wrong. Read our baby crying interpretation guide here for some ideas.